Because there aren't enough opportunities to imbibe in New Orleans. 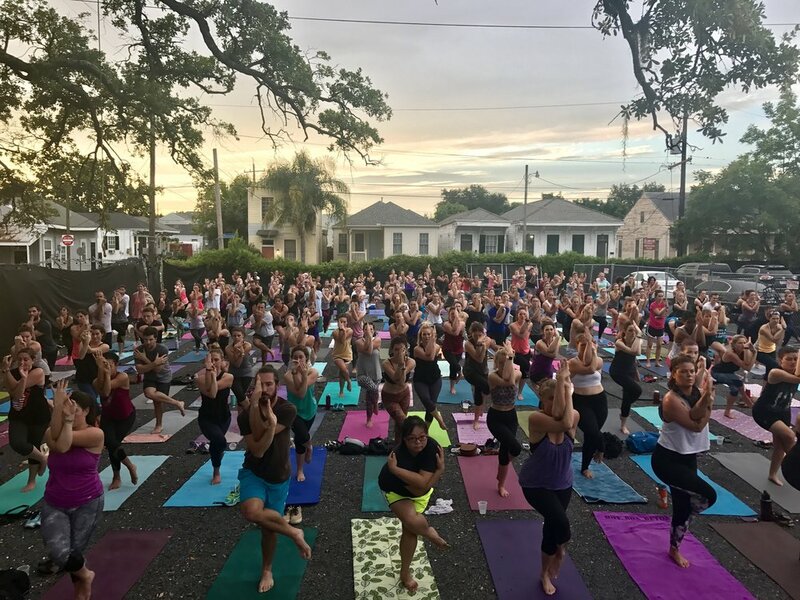 Every week NOLA Tribe Yoga brings #goodvibesonly to one of the best spots to practice yoga in New Orleans: The Tribe Yard. We're here not only to offer 55-minutes of all-levels, pumped up yoga but also to create a fun-loving community of yogis. I moved to New Orleans I went to NTY's Tchoup Yard Free Spirited yoga class - that was 6 months ago and needless to say they keep me coming back! Such an amazing tribe with amazing vibes, the yoga classes are the highlight of my week! Wonderful for all skill levels, and if you've never done yoga no worries! They are extremely inclusive and wonderful - you won't regret it!! Thanks to all the instructors, you mean so much to all of us and it's incredible what you do"
Had a hard time getting into yoga and took Baye's class at Tchoup yard and am a changed lady! Love the whole concept, these are some brilliant ladies." 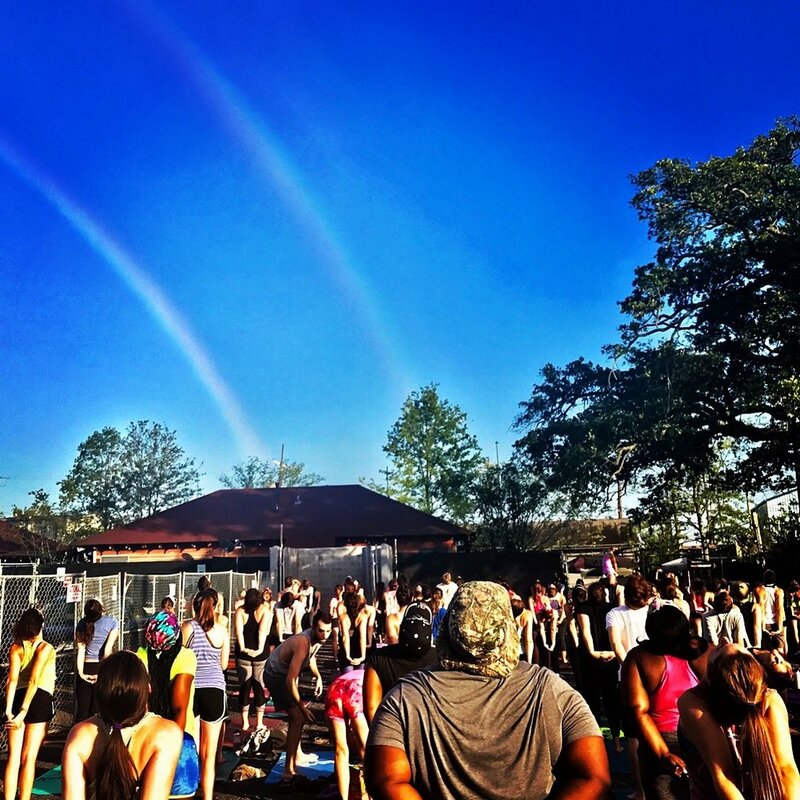 NOLA Tribe Yoga class at Tchoup Yard at the end of June.. my workout partner and I were trying to find yoga classes around the city. Needless to say, we’ve become hooked. I participate in the run each week and then we join a large, supportive group of yogis on our mats. The instructors are so down to earth and promote such a non-judgmental atmosphere which means this class is accepting of all levels! I truly look forward to my hump day treat each week!"